2. 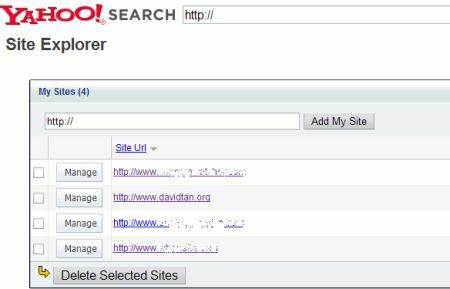 Find which sites and subpages are indexed by Yahoo! Search!. 4. View the most popular pages from any site. 5. Submit and track feeds for your sites. 6. Find what subdomains of the site known to Yahoo! 7. See other information Yahoo! detects about your site, such as language. This can be especially useful for forums or websites which still don’t have permalinks/nice url in it and have the ?sid thingy hanging between the url, which has been notoriously known to piss off search engines.